I had a chance to look at the challenge over at Ellen Hutson and when I saw the inspiration photo, I knew I had to play along. 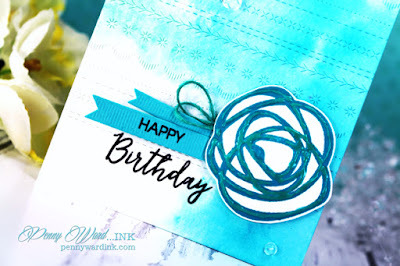 Just look at all that lovely Aqua !!!!! Using a watercolor panel as my base, I then die cut/embossed the Stitching Lines. Did a little smooshing with the panel and Peacock Feathers distress ink. 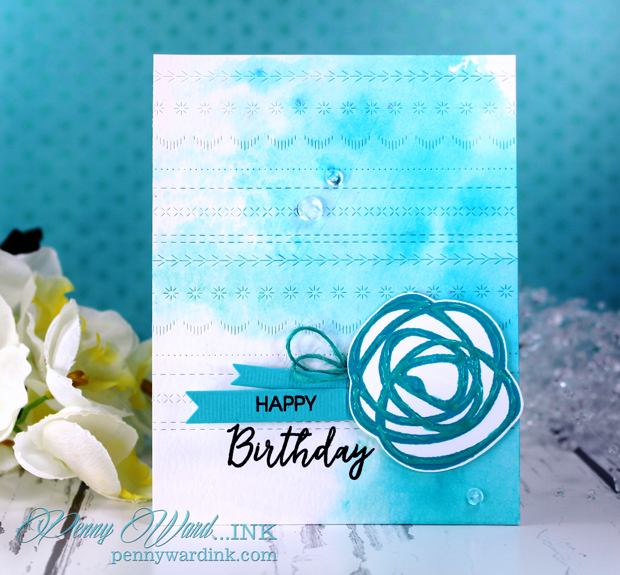 Bold Blooms was inked, fussy cut and Crystal Drops were added to the swirls. 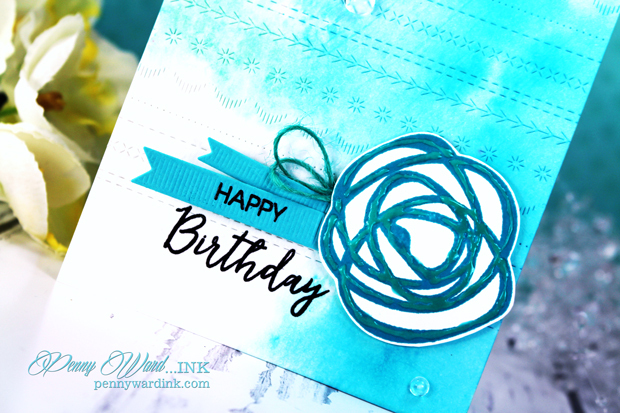 Grosgrain Ribbons were die cut from Aqua cardstock, stamped and heat embossed. 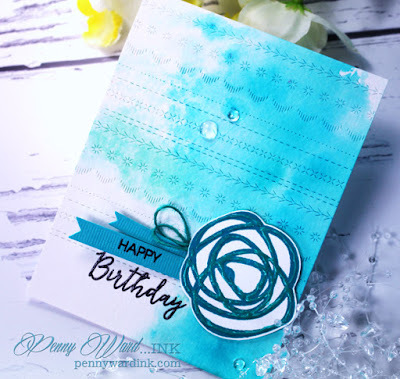 What a pretty combination, Penny - love your darling card! !